Astroblast! is an American 2D animated Science Fiction children's television series. the series is co-produced by Scholastic Media, Soup2Nuts and debuted on Sprout on July 12, 2014. It began airing on NBC Kids, the Saturday morning programming block on NBC, on October 4, 2014. It is based on the book series Astroblast! by author and illustrator Bob Kolar. It was the last show produced by Soup2Nuts before their closure on March 19, 2015. Comet, Sputnik, Halley, Radar, and Jet five fun-loving animals who live with their alien octopus friend Sal in the Astroblast Space Station, which also houses a large library and a smoothie cafe called the Frosty Star. Sputnik is a pig who wears purple. She is Jet's best friend. She loves to read and is depicted as being very knowledgeable. She is voiced by Veronica Taylor. Halley is a rabbit who wears pink and yellow. She is Comet's closest friend. She is depicted as being daring, fun-loving, and a thrill-seeker. She is voiced by Gigi Abraham. Comet is a dog who wears sky blue. He is Halley's closest friend. He is voiced by Vinnie Penna. Radar is a monkey who wears lime green. He is depicted as being athletic, but he can sometimes be a little bit grumpy and be a bit of a sore loser. He is voiced by Joe Gaudet. Jet is an alligator who wears orange. He is Sputnik's best friend. He does not speak but communicates through expressive gestures that everyone understands. Sal is a purple, three-eyed space octopus. He often shares his "gam-gam" (grandmother)'s advice whenever there's a sticky situation. He often finds the soft side, of many situations. He is voiced by John Taylor. 30 May 2015: Be Mine + Threes a Crowd re-aired 29 November 2015 A mailbox mix-up leaves Comet questioning his friendship with Halley. 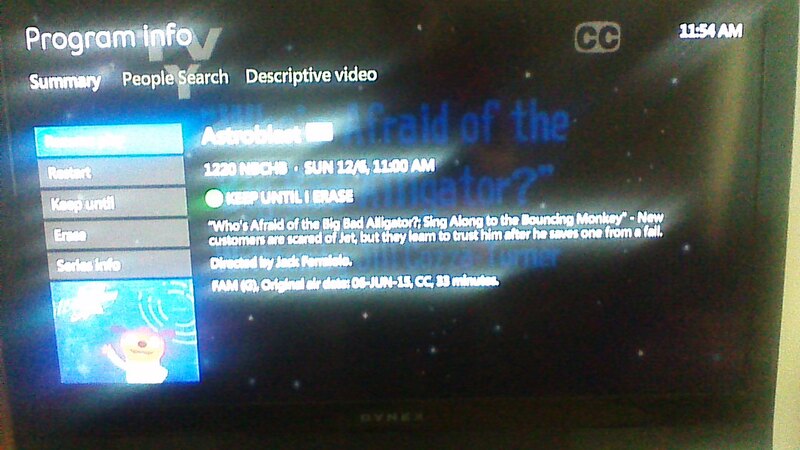 6 June 2015: Who's Afraid of the Big Bad Alligator + Sing Along to the Bouncing Monkey re-aired 6 December 2015 New customers are scared of Jet but they learn to trust him after he saves one from a fall. 13 June 2015: I Feel Fine + Radar for a Day re-aired 13 December 2015 Sputnik is so excited for a Carly Cosmos contest, she tries to hide the fact she is sick. 19 September 2015: "Comet's Gift" + "A Star Is Born" re-aired 20 September 2015 - Comet doesn't want to give a gift at the secret gift exchange. 26 September 2015: "Don't Fear the Surfboard" + "Clean Machine" re-aired 27 September 2015 - Halley's late with a large order of smoothies leaving her questioning her job performance. ^ a b "WorldScreen.com - Archives". worldscreen.com. Retrieved 8 August 2015. 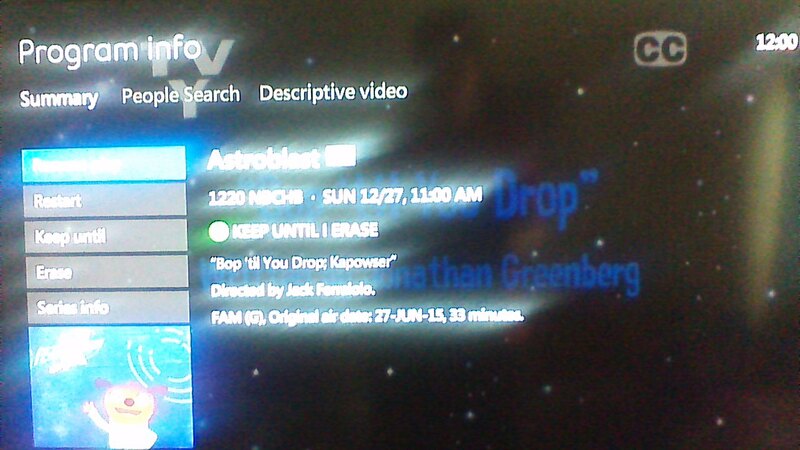 ^ "Astroblast - Episode Guide". Retrieved March 7, 2016. This page was last edited on 20 April 2019, at 11:26 (UTC).